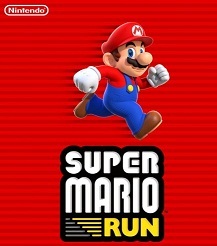 In this guide to Super Mario Run we give you solutions and fixes for the most common / frequently reported problems such as black screen, the app freezes, the game does not start or error Support Code 804-4120. This is a bug, which does not affect all users. On the App Store if you want to download the game and it does not work, then you first need to log off the store and then log on again. If you still face with the same issue then restart the device and try again. Of course, the problem can also be related to overloaded servers so try it later. I Cannot Login With My Account. What Can I do? Currently, many players cannot log in because the servers are overloaded. The demand is high, as there are many young, but also older fans of this game. We already know from the initial phase of such problems Pokémon Go. So try again at a different time. - Check if you have access to the Internet. - Re-install Super Mario Run. Super Mario Run Crashes - What Can I Do? Some players complain that the screen goes black or hang while playing. Nothing happens after this, and neither pressing a button nor touching the screen is detected. In such cases, you must perform a soft reset. For this, we need to hold the power button for a few seconds. Then restart the game. Unfortunately, there is no better solution to this problem and we hope that the developers soon release an update that fixes this bug. 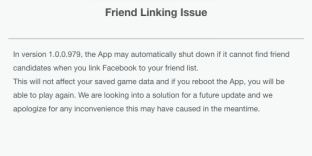 In some cases, the game crashes when you logged in to the Facebook account. Super Mario Run tries to find friends who are also playing the game. If you get this error message too, then you cannot currently do much more than wait - on an update by the developer. As soon as we know more about this, we will update this guide.